The main CAMWS site has full e-commerce functionality (which means that it can record an order detect when a payment has succeeded, mark the order as paid). This is used for all payments apart from donations (although it is possible some there are some pages using paypal buttons, taken over from the old site, which have still been overlooked when converting to the new system). Using Commerce involves setting up a product in the Store (see black top-bar admin menu), then displaying a link to that product. A website visitor is invited to add the product to their cart by clicking on the product link. The link can be displayed in many ways. 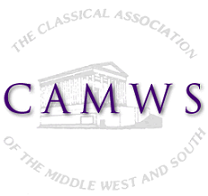 It is envisaged that for CAMWS the link will normally be an element on a Webform, where various additional details can be entered. After clicking the link, the cart should be displayed (for example by redirecting the Webform to http://camws.org/cart). Some of the more complex webforms which have a payment element are now using Drupal Commerce, which can be managed from the 'Store' link on the black admin bar menu. Before an item for payment can be added to a Webform, a 'product' must be created with the price of that item. A product can be created from Store > Products. Choose the one product type which seems the most appropriate and create a product of that type. Make a note of the unique SKU number you assign for the product (which can be a random number so long as it is unique) and use this to create a Webform field where the product can be purchased (and optionally, where the buyer can select the quantity of each item). Alternatively the Webform can display all products of a particular type in a field: the Webform form for adding a field for product SKU contains help text showing how to do this. Checkout can be by check or (only where a custom has added a product of type 'Paypal Supplement' to the cart) via PayPal. Where a customer checks out by PayPal, the system should recognize a successful payment and mark the order as 'paid.' Where payment is by check, the order can be marked 'paid' manually once the check has been received. Orders can be viewed and edited at Store > Orders. Note that if you check out when logged into the system, the system will assume that the purchaser is the same as the owner of the account you are logged in with.